For me, the word 'Freedom' best sums up my 'why' behind putting in the work required to create success online. My wife and I have been on a road trip for a bit now... Keeping the biz growing while roaming. How crazy of a difference between my upbringing and his, just one generation apart! "Hey, do you want to go spend a couple days with my parent for Father's Day?" So we packed up yesterday... 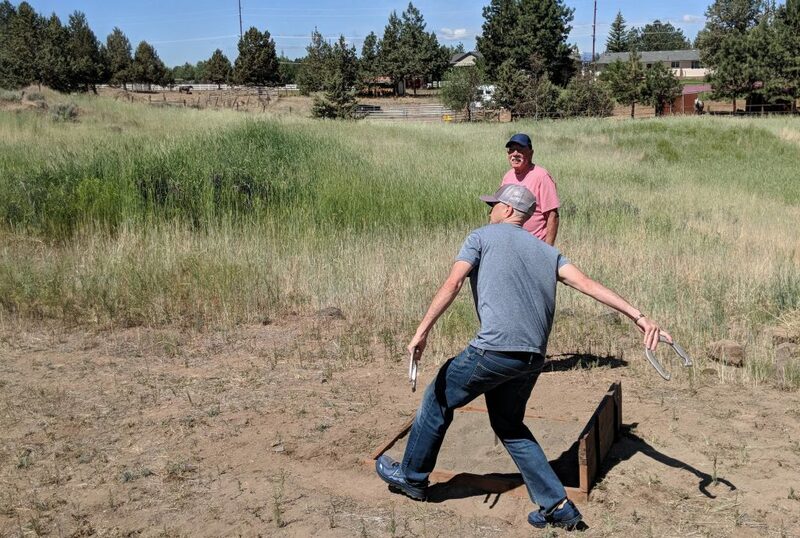 Drove a state and a half away and I got to throw some horseshoes with my pops last night. Gonna go for a hike with my mom today and maybe do a little river rafting with them both for Father's day. I work more than most people who have '40 hour workweeks' with bosses, cubicles and commutes. Not to mention those 4+ years when I worked the equivalent of 2 full-time jobs... 40 hours per week for the man... Then 40 hours per week for the fam. Honestly, I love the work... I'm in love with the process of creating another successful brand online. I feel like I'm being of service to you, which is fun and rewarding on so many levels. But there are these times... When I am able to go in a random direction because I want to! Sometimes it is Bali, Europe, or New Zealand... Other times it is just to get to sit around with my parents for a couple days. When I feel tired and don't feel like cutting a video. I know that stopping my momentum and all this freedom could disappear in a moment. Success is fickle... And not guaranteed. So I keep pushing... EVERY. SINGLE. DAY. WHY are you putting in those long hours to build your successful business online? Why are you willing to set your alarm every day at 5am to get a couple hours of work in before the rest of the world wakes up? You can do this... You can create freedom for yourself and your family. It starts slow, like a freight train from a dead stop... But the momentum builds. Now, 15 years since I made my first dollar online... I've got a good amount of momentum going. But now is not the time for me to kick my feet up... Except maybe for a few days when I'm chillin out back with my dad enjoying the time with family. And no matter what, I still find the time to get my emails, comments and videos done! Because protecting my 'Why' and my future freedom is as important to me as enjoying this now moment. P.S. If you write out your "Why" on a post-it note and stick it on the bathroom mirror where you brush your teeth... You will have a daily reminder of WHY you are pushing through so hard! That little trick can help you sustain the positive and motivated energy you need to break through and create the success you truly desire! Finding ways to get leverage on yourself to publish more, to give more value and to force yourself to keep showing up to produce more great content is KEY to your long term success! Keep flying, Miles. I'm with you that autonomy and freedom are Da Bomb ;).